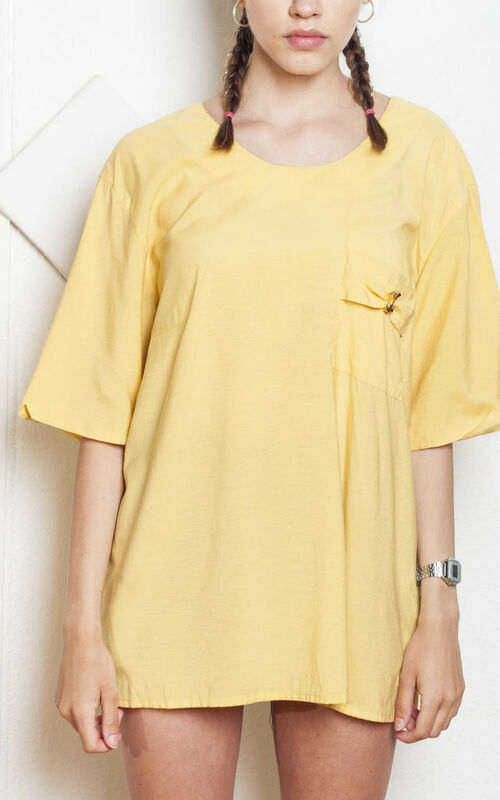 Open back yellow tee from the 90s. It has cute golden bow buttons and a pocket. It's in a flawless vintage condition. Labelled size: 44. It's a nice oversized fit for a UK size 10-12 and regular fit for a size 14-16.
shoulder: 52 cm / 1' 8"
length: 73 cm / 2' 4"
sleeves: 28 cm / 0' 10"
width (seam to seam): 57 cm / 1' 10"